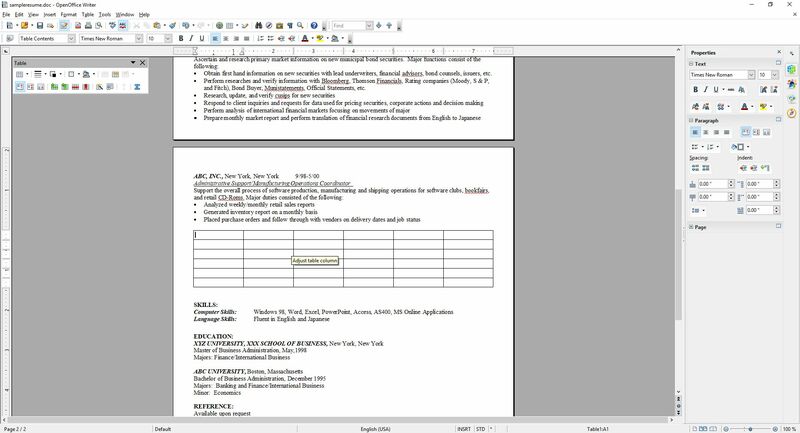 People are always looking for a free alternative to costly productivity software, and never has that been more true than with Microsoft’s Office Suite. While they now have their subscription-based, $99/year Office365 Software as a Service offering, it used to be that regular updates to Office could cost hundreds of dollars, especially if you were including Access in the package. People didn’t like the repeated substantial costs associated with new versions of software, and that was not a sentiment limited to Microsoft. The thing is, while free options, substitutes, are often available, they are also often simply not as good as the software they’re attempting to replace. Consider GIMP (GNU Image Manipulation program). Intended to be a free option for those who don’t want to purchase Photoshop, as well as for those who would like to experiment with image manipulation and the like, it’s also much more cumbersome to use. Not that Photoshop is easy, but in terms of usability GIMP isn’t an ideal. Simply drawing a straight line is a process, dragging handles is awkward, finding the right tool dock can be confusing, and if you’re just experimenting with it to get a taste of what image manipulation software is like, that taste will be bitter. Even the name itself is difficult, with GIMP being an acronym for “GNU Image Manipulation Program,” and GNU itself being the awkward acronym “GNU’s Not Linux.” It used to be the General Image Manipulation Program, and I’m not actually sure when the name change took place. Not that isn’t effective – it is. In fact, I often use it myself for the images on this very site that require some touchup, such as adding text or combining multiple images into one or adding illustrations to name a few, and I even have an academic license for Photoshop! Quick and dirty manipulations are easier with GIMP, but as a functional, full-featured piece of software it’s functionality, not so much usability, that drives the development of GIMP. For very simple things like batch resizing / converting, pixeling out info, or cropping, I just use the IrfanView image viewer, which is much more effective and easy to use for that type of thing. But not adding text. it’s terrible for that. So why do I mention all of this? A friend who recently lost her job needed to get her resume updated and out to potential employers fast. However, as she doesn’t make boatloads of money she had an older laptop and no Microsoft Office installed or available to her. 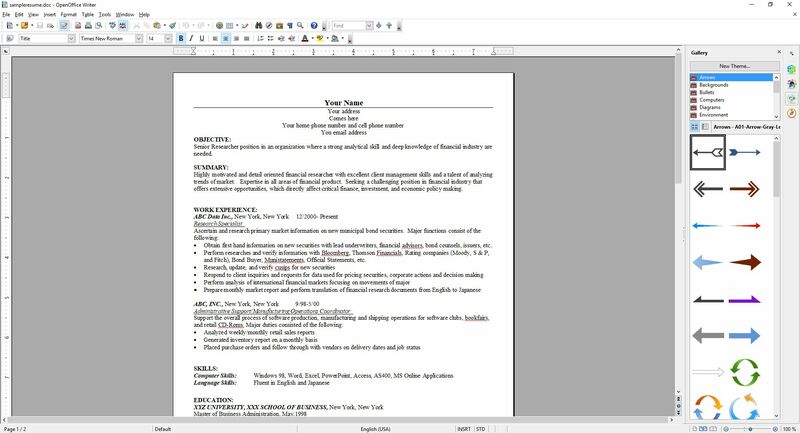 She was trying to edit said resume in a reader, not realizing it doesn’t work like that, and without having the finances to acquire Office, she asked me for help. My first bit of advice was to use Zoho online, a remarkably feature-packed online office suite that deserves its own, dedicated post, so I will add a followup soon with screenshots, samples and impressions. The problem is, they don’t offer a locally-installed solution and she doesn’t have Internet access, so that solution was out. I then suggested OpenOffice, a free Office alternative that has been around for a long time, and that I hadn’t tried out in years and years. I guess I should refer to it by its proper name, Apache OpenOffice, as the original OpenOffice, originally developed by a company called StarDivision, which was acquired by Sun, which was acquired by Oracle, no longer exists. Did you follow all that? It’s like a software soap opera. Anyway, OpenOffice was turned over to the Apache Foundation, which is dedicated to community-built open-sourced projects, and it has a staggering number of them. Their web server is, and has been for a long time, the most widely-used web-server on earth. When I last used OpenOffice, long before it was taken over by the Apache Foundation, it was bad. This would have been back in the late 90s, and even then it couldn’t hold a candle to Office. The icons were unintuitive, the functionality limited, the compatibility wonky, it just wasn’t a good alternative. I’m glad to say that after twenty years it’s better than it was, it’s good, but it’s still not great and has one glaring flaw that really holds it back. First, the good: The interface is much closer to what one would expect from a standard word processor. You can see in the image below the standard toolbar, which is also replicated in the ‘Properties’ dialog located in the sidebar. While the icons are much better, meaning much more standardized, the duplication of them across the top and side can cause issues. Functional and graphical replication is poor interface design, one you often see on webpages. And while the icons are generally much better, they’re not completely standardized. The top menu, however, uses the standard “File | Edit | View | etc.” menu with expected submenus under each entry (see ‘text boundaries’ image at end of post). You can also see in the below image(s) the icon for ‘Properties,’ one of four down the far right side, is a green and blue cube, bespoke for this program, while underneath it are the icons for ‘Styles,’ ‘Gallery,’ and ‘Navigator,’ which is ultimately used to move through the document itself via various elements. All of these are unique in function and design to OpenOffice. 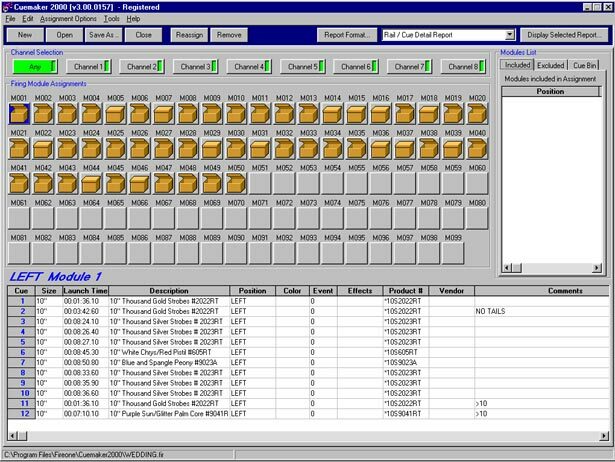 It also has an extensive array of settings that covers every aspect of the program you could hope for, even how you allocate memory and VBA integration. Using a sample resume I downloaded from the Internet, I tested how well it handled inserting elements, specifically an image and a table. This is something that can even trip up Word itself, but I am happy to say it handled both swimmingly, accurately integrating, aligning and formatting both with ease. The text adapted to any changes in size or position easily and the results were always pleasing. It also pops up a task-relevant toolbar to help further with fine tuning or further formatting the element being inserted. Again, after insertion both of them were easy to adjust and format, and the rest of the document was very responsive to those changes. While this post doesn’t cover all you can do with Writer (you can imagine how long a post covering everything you can do in Word would be, and it’s the same here), you can get an idea from the images, specifically the ‘Navigator’ image included above. I’m also not a big fan of the text boundaries that are shown by default; they make the whole document look as though it is too small on the page. I get that they are trying to illustrate the margins as well as provide a quick and dirty print preview, but ultimately I find them distracting. Fortunately, they can be turned off completely (which makes it look more like Word, and the familiarity is welcome). The two big problems with OpenOffice are, unfortunately, major issues that prevent me from recommending it completely, especially as there are other programs and online options that don’t have these concerns. The first is an issue primarily if you are importing a .docx (Word 2007 – present) file to work on a document. 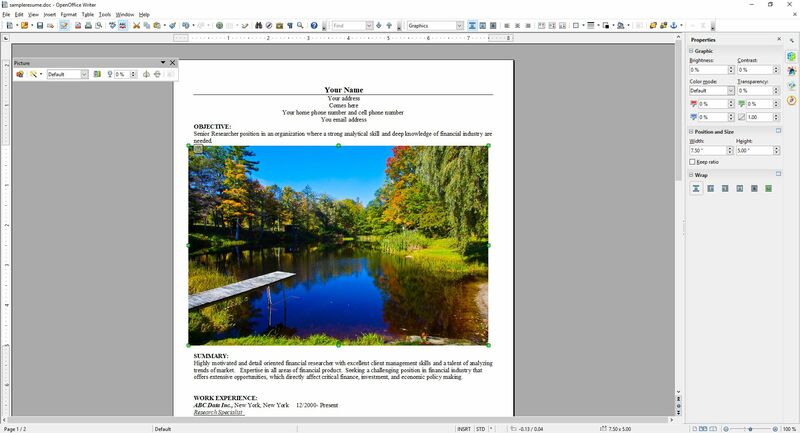 If you create your document from scratch in OpenOffice, it works quite well and is feature rich enough to complete even if you are doing fancy stuff. On the other hand, if you’re importing in Word’s latest format, forget it – processing hidden Word formatting codes is not Writer’s forte. Writer will destroy enough of the formating that fixing it is not worth the effort, and copy – pasting without formatting and re-formatting is likely, but not always, the only viable option. Even so, the common outcome is that no amount of tweaking will right the formatting ship: You can recenter and re-format and unbullet and rebullet and tab all over the place all you like, but it will never get back to the way it was; it will simply not play nice with undoing damage from an import. Building on that is the most glaring issue of all: Writer simply doesn’t recognize the .docx extension. You can’t save using that extension, only .doc, a format that hasn’t been used for about ten years. Writer has its own format, .odt, that is unique enough that trying to go the other way, and opening a Writer file in Word will also yield unfortunate formatting issues. Other alternatives like the aforementioned Zoho handle them easily, but not OpenOffice. 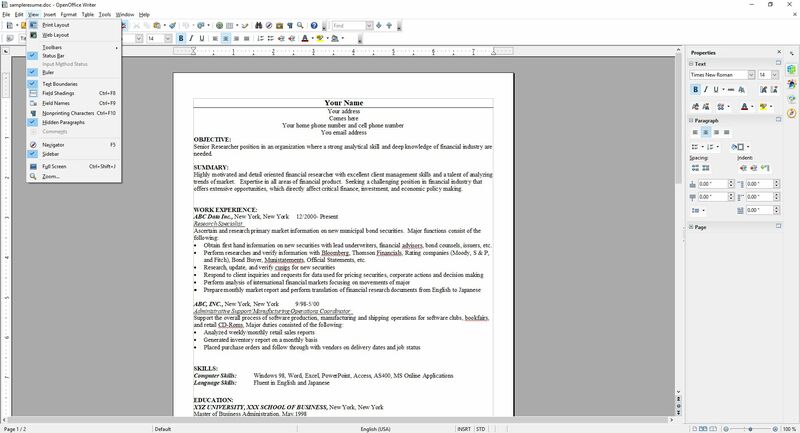 In fact, when creating a new document in Writer, it asks if you want to create a new Text document, which in Windows or Mac has a specific meaning, and it’s not a fully formatted, functional, professional document. 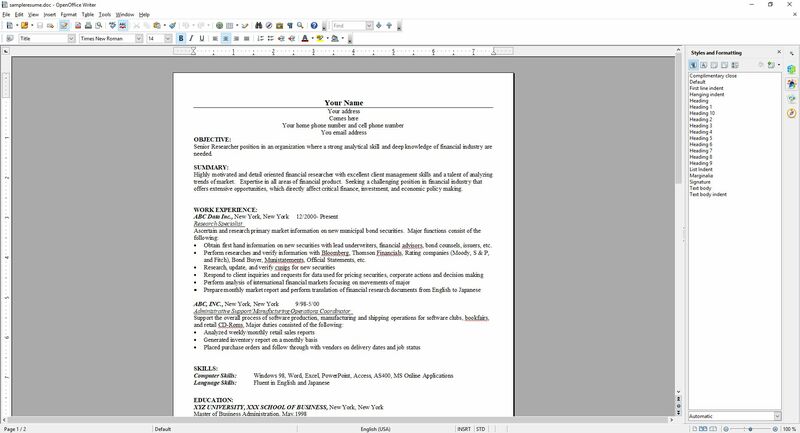 This post only covered OpenOffice’s word processor, Writer, although the other applications exhibit similar behaviors and limitations. 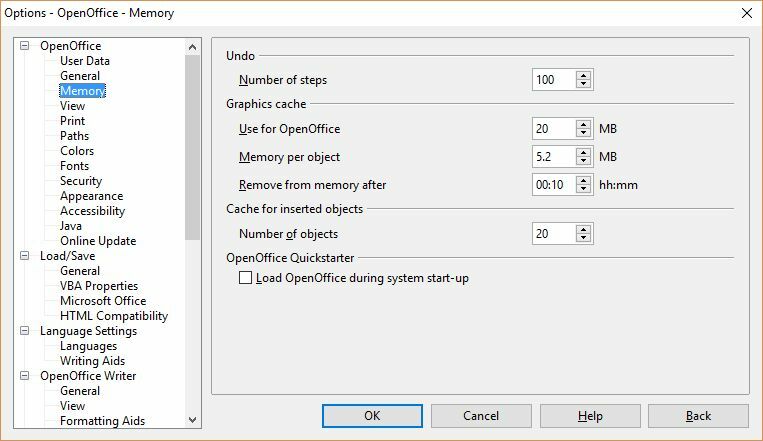 They work well if you are working solely within OpenOffice, but not if importing or exporting. I want to see OpenOffice succeed, especially under the Apache umbrella, but as of now I simply can’t recommend it as it is. That’s distressing, since I haven’t been able to ever recommend it over the last twenty years, although it’s always been very, very close. It works well on its own and with its sister programs, and has incredible potential, but the fact is it doesn’t play well with others, and until it does it simply won’t be a viable alternative. In a recent post, I lauded the new release of Firefox, known as Firefox Quantum, or Firefox 57.0 if you’re in to numbers. The release introduced new features and fixed many issues that have plagued it, in some cases, for years (memory leaks, I’m looking at you). One of the things I really appreciated was the ability to take a full-page screenshot that would capture the whole page, regardless of how much of it was off-screen. 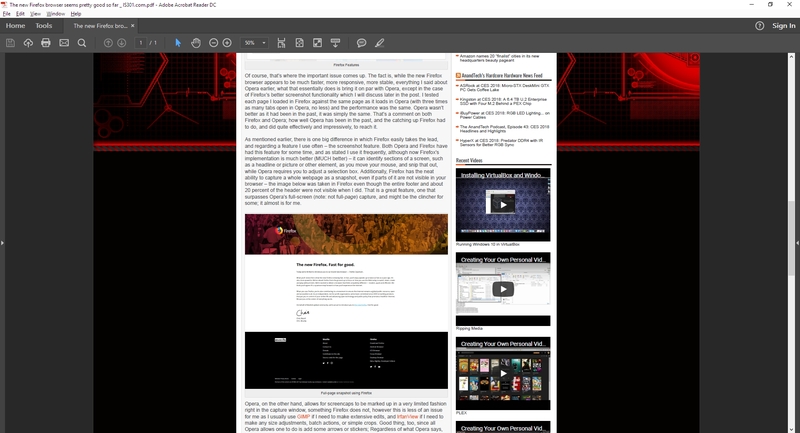 For someone like me who uses screenshots in class and on this blog frequently, it’s a godsend. Having said all that, I also mentioned right at the beginning of that linked post that I’m an Opera guy even though the new Firefox has really narrowed the gap, and since Opera just released version 50.0 with some features of note, I thought it would be only prudent to mention a couple of them here. It won’t get the same coverage as Firefox because it’s not as significant of an upgrade. Indeed, I’m only going to mention a couple of its features: full-page PDF capture and anti-Bitcoin mining technology. As I mentioned, Firefox allows for a full-page screencap of a webpage, even if you can’t see it all in the browser window, and the cap is then saved as a .jpg image. As I mentioned, since I use screenshots extensively in my classes and on this very site, that’s invaluable. Now, Opera has the ability to do the same thing except it captures the page as a pdf. It works perfectly, I’ve had no trouble at all, and I can see how it would be useful, especially as opposed to a .jpg. If you wanted a hardcopy version of a recipe, or a series of lessons, or set of instructions then it’s ideal. If you wanted to have a permanent copy of a webpage, or send a copy of it that could be used at a meeting or for whatever reason can’t send a link then it would be very useful there as well, as it would certainly be easier to read then an image. I’m quite impressed with its functionality, and it offers a nice other option alongside Firefox’s full-page .jpg image capture. Both options are fantastic, work flawlessly, and definitely have their own specific use cases. The image below shows a multiple-page post from this site that was saved as a pdf and how it appears; it’s exactly like reading the site itself, but without links. I should also add that Firefox has an advanced ability to select page regions for capture and editing features, a feature not shared by Opera. The other interesting feature Opera has developed is anti-Bitcoin mining technology. Bitcoins are obviously all the rage, and whether that’s because of the nature of buzzwords or legitimate hype, mining them (a topic far beyond the scope of this post but you can read about at this obvious site) requires extensive use of a PCs resources, somewhere in the neighborhood of one hundred percent, and while smart people will simply build dedicated machines for the task, other smart but misguided people instead want to use yours, and will hijack it through scripts to do so. The obvious downside is that your machine will slow to a crawl and use up insane amounts of power while it tries to mine Bitcoin for someone else. Never fear though, Opera to the rescue. According to their blog, simply turning on their built-in adblocker – another nice feature by the way along with their built-in VPN – will prevent drive-by Bitcoin-mining hijackers. By the way, I say Bitcoin as a proprietary eponym, like Q-tip or Kleenex, however it’s any type of cryptocurrency mining that gets blocked, and Bitcoin is hardly the only one out there. I should just start saying cryptocurrency as it’s the better, general term, and I’m sure someday I will. Just know that there are many viable brands of this digital currency, but that’s a post for a later time. So the eternal tug-of-war between Opera and Firefox continues, at least for me, and I couldn’t be happier. I’m thrilled at the way they’ve developed and hope they both keep pushing browsers forward. 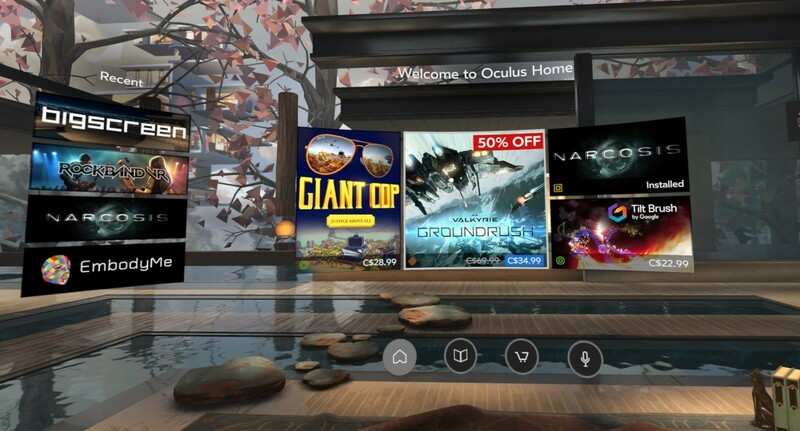 Facebook-owned Oculus released their Rift Core 2.0 software a couple of days ago, completely revamping the out-of-app experience users have when they don their Rift headset. It’s a vastly improved experience over the original Oculus home (which wasn’t all that bad, to be honest); much more feature-rich, streamlined, and user-friendly, however it is still clearly in beta, which is a good thing because it is also still, bafflingly, missing some foundational functionality. 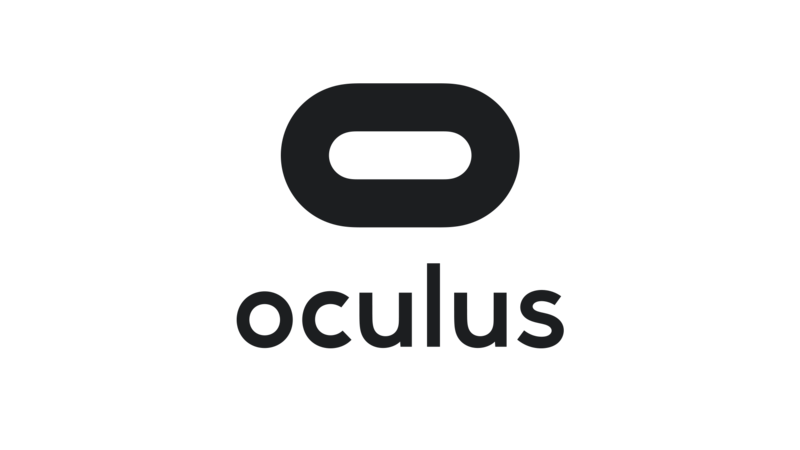 According to the Oculus developer blog, there is much more coming and I am very much looking forward to it. I have made a video, embedded at the end of this post, however that was not without some strange difficulty. You see, when you are in a VR app, the app is automatically mirrored to a window on the desktop, but not when you are in Home or the store. For reasons we may never know, the developers made that window a hidden window, and it required a third-party app, cleverly named HomeUnhider, to make it visible. I would have used the more popular OculusMirror.exe, supplied with the Oculus software itself, however unlike everyone else on earth, my Oculus program folder was empty, with none of the software that was supposed to be installed along with the core experience, and it’s not available for download. “No problem,” I thought confidently, “I’ll just use HomeUnhider.” Great idea, except HomeUnhider doesn’t work with the new beta experience, giving an error that reads ‘Oculus Home not found.’ It required a complete uninstall and reinstall of the Oculus software, but I did then get the mirror program that allowed me to capture the video (for those interested, the complete path is C:\Program Files\Oculus\Support\oculus-diagnostics\OculusMirror.exe). Camtasia then proceeded to cut off the bottom bit of the video so you can’t see the dashboard as much as I’d hoped. It’s also a weirdly low-res video, which is strange as I use Camtasia a lot and don’t normally have that issue. 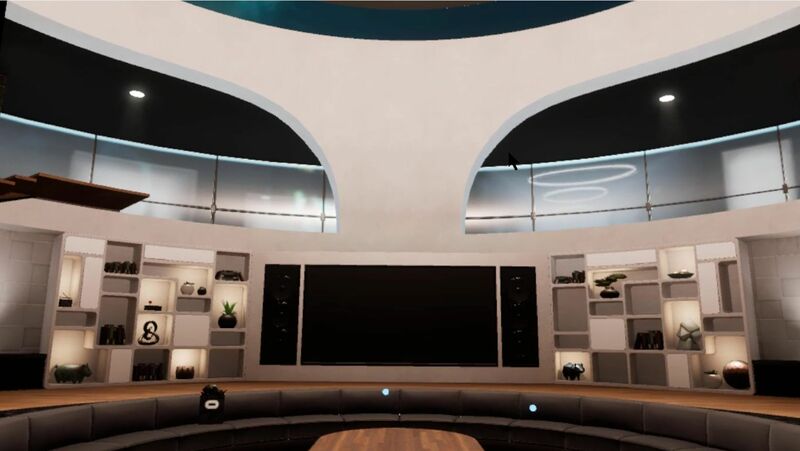 Here’s a pic of the original Oculus home, lifted from the Windows Central forums, to set a baseline. As you can see, it’s not bad. It has a nifty, pseudo-futuristic-while-simultaneously-rustic vibe going on, and the home and store functionality is combined into a single interface. You can see yourself, your friends (yeah, right), highlights from the store, and recently accessed apps. The image is actually an older version of home; it had been upgraded from the design you see in the image above, with additional navigation, categories, and so on. It looked generally the same, but with some additional functionality. Of course, you could look around your home if you just wanted to chill, as the kids say. In the just released beta, however, it has been completely revamped. 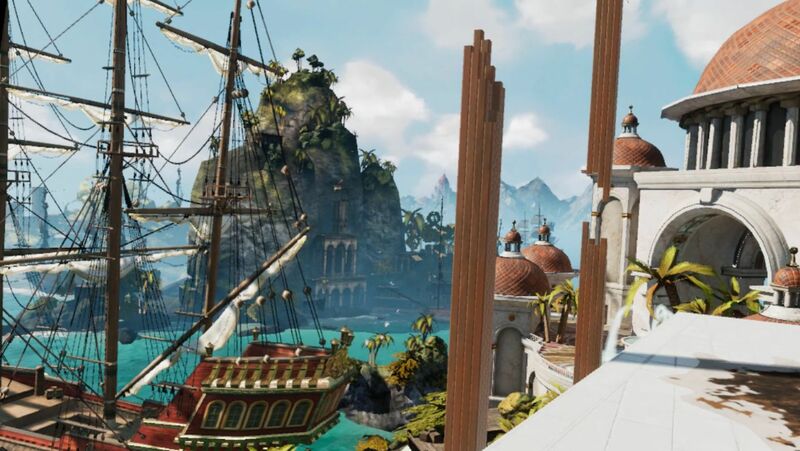 Your house now sits on what appears to be the cliffs of a…Mediterranean, perhaps, or maybe Spanish inlet, part of a larger coastal village, with your balcony looking out over the water, which also happens to have some pirate ships. Can’t argue with the view! 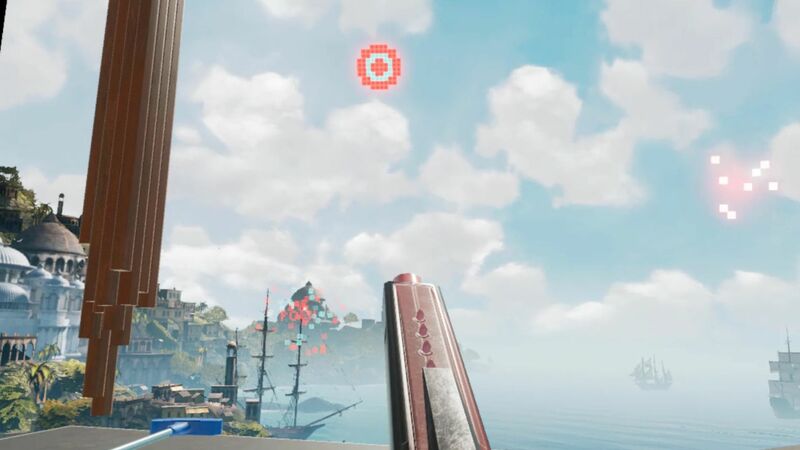 There are also some activities you can do, such as shoot a bow and arrow at nothing in particular, shoot what appears to be a virtual incarnation of the Sega Master System Light Phaser (which could be dangerous in the wrong hands) at similarly 8-bit targets, or lob golf balls into the water. For being such simple activities, they’re oddly fun. You can navigate around your house, something you couldn’t do before, and you can now do some limited decorating. By selecting different patterns you can change the look of the ceiling and walls, and other accouterments can be placed around as well. The carrot here is that by playing games and using apps, or simply spending time in Home, you’ll earn additional items and decorations that you can use to further spice up your space. And don’t worry, there are no lootboxes here. 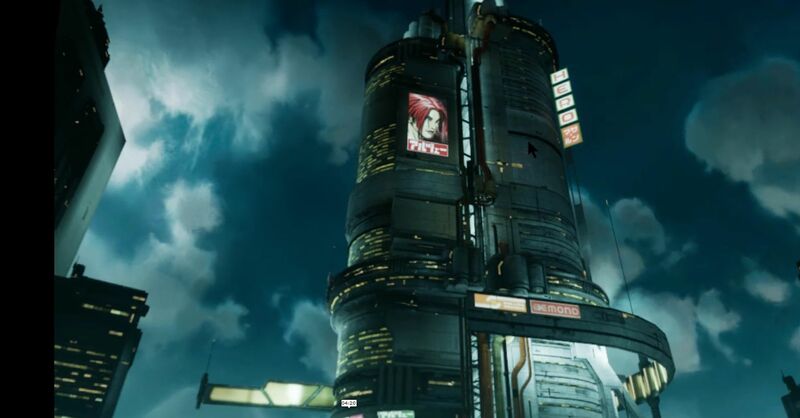 I suspect that there will eventually be many more ‘homes’ from which one may choose: On the developer blog linked earlier, there is what appears to be a house in outer space as opposed to the seaside location it’s in currently, and my guess is there will be more than that. The blog states they’ll be rolling out content over the course of the next year, and I suspect further on past that. Hey, Sony’s Playstation Home may not have been a hit, but the homes you could buy were spectacular, and it never came out of beta! I can only imagine what it will be like if we can get homes like that in VR – I’d buy every single one. 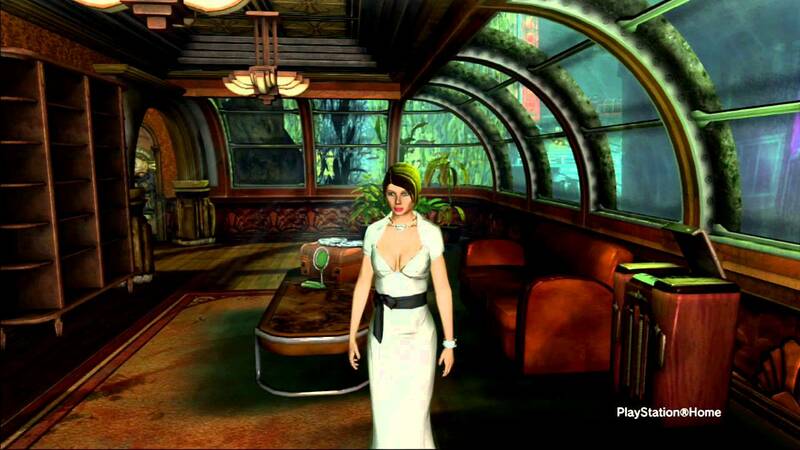 They even had one that was completely underwater with whales and whatnot swimming outside massive windows…Now I’m nostalgic and I can’t find a single picture of that house, so instead here’s a picture of an underwater, Bioshock-themed apartment you could get. Still pretty impressive, and apparently there’s some weird version of Playstation Home that still exists on the PS4. GLORIOUS UPDATE: It turns out the environments are already available! I wasn’t aware you could scroll through decoration options within categories, however I began to suspect something was up earlier today when it said I had 78 objects but was only showing a few. After figuring out how to scroll, guess what appeared! That’s right: A space environment, and my new favorite, a city environment called ‘Vertigo.’ I made an additional video just to show them. They’re very impressive, and now I can’t wait to see the others that I’m certain will be available in the future – fingers crossed for an underwater theme! So back to Oculus – there is the new dashboard, which I think is a huge, and much needed, improvement. It now curves around you like a futuristic control panel, offering access to settings, recently used apps, some status info, the store, and social info. It’s easier to use, especially if you’re standing up; using it while sitting requires you do some contortions with your wrists to get the pointers in the proper place. There is also a Desktop button that mirrors your monitor right there in VR, and if you have multiple monitors it will ask which one you’d like to see. The insanely nifty thing about that is that you can pin programs to the curved dash just like you can with the Windows or Mac taskbar, and even pull windows off of your desktop and pin them right in the air in your virtual house! They’ll follow you around – you can watch YouTube videos, play a game, browse the web, all as you mosey through your virtual environment. It’s an incredibly useful feature, however you can’t pin them, say, to the wall like a picture, which I think would push it over the edge into unparalleled awesomeness. Rather, they hover right next to you, although they can even overlay over an app you’re using, so you never have to be away from that admittedly very important video that finally proved the existence of life on another planet. The store has been separated out as its own location, designed as a post-modern, I don’t know, office lobby? There’s a very natural theme to it with an Oculus-branded waterfall, wooden curved steps on either side of the round room, metal balls rolling along tracks under a glass floor, and you can even see silhouettes wandering around behind the upstairs windows. Oddly, and at the same time pretty awesomely, if you turn around you’ll see a very futuristic, yet also immersion-ruining unanimated cityscape. No blinking lights in windows, animated billboards, blinking stars, nothing. But it is an interesting contrast between what’s in front of you and what’s behind, one you can see below. The store functionality is generally the same as it was before, which is a problem. 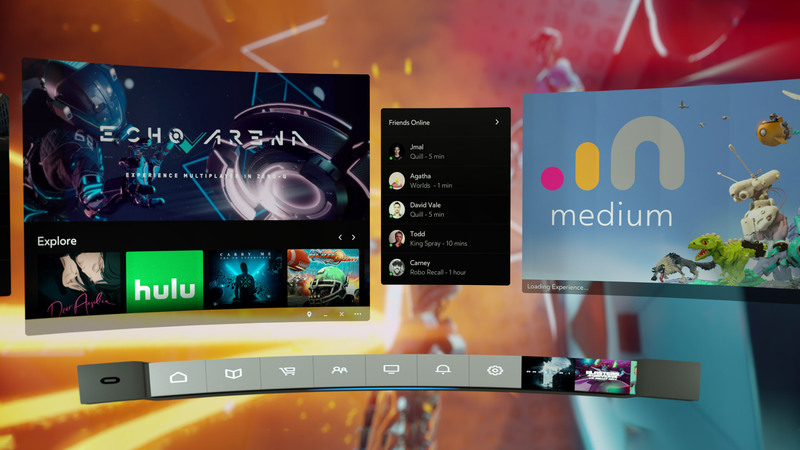 They have finally added video previews of apps you’re viewing, something the Gear, the mobile version of the Rift, has had forever – the fact it’s been added to Rift now is just playing catch-up. Additionally, although it’s not an addition at all, it’s a maddening omission, there is still no search function, which is as basic a usability function as there is, especially when the list of apps can, in some categories, go for 100 pages! While apps are normally listed six at a time, their ‘Gallery’ titles, which are described only with the very vague ‘A broad, less-filtered collection from VR creators,’ are for some reason listed three at a time, and there a hundreds of them! I also have no idea what ‘less-filtered’ means, and when I clicked on ‘Learn More,’ Oculus crashed and wouldn’t restart without a reboot or taskkill because its background process simply wouldn’t quit, even from TaskManager. Anyway, you can sort, but you may still have to scroll through pages and pages and pages and pages of apps to get to the one you want. There is also no browser, something its little brother the Gear has had for a good while now. It’s very strange; these improvements to Home and new environments for Home and Store are great, but it still lags behind the version that you use by plugging in a phone. The Gear version of home also has voice search, and other things like events, highlighted videos and better social integration, something that even I, with no friends on this or any other game platform, can see is much better on the Gear. That the Rift still lacks the basic functionality that its phone-based counterpart has enjoyed for so long is unforgivable. I’m overjoyed at this new Rift experience, and I have very high hopes, not only for its continued future development and what that will bring us, but also that it can simply be brought on par with what you would expect would be its much less capable sibling. It’s important to also add that regardless of my complaints and concerns, Oculus is light years ahead of Valve / HTC and their Vive in terms of the interface. The Vive interface, a Frankenstein-like mashup of three, maybe four, maybe as many as seven separate interfaces (it’s hard to tell, it’s so badly designed), is overpoweringly difficult, cumbersome and unintuitive to use. So awful is the Vive interface, and impossible to navigate, that it may be, and I say this in complete seriousness and without hyperbole, the single worst interface I have ever used. In my line of work I use a lot of terrible interfaces, so Vive has really accomplished something here. Not only that, Steam VR incorporates beautifully into Oculus, so there’s no need to use the Vive at all, at least not in my household. Below are two videos from Oculus, one highlighting the new Home and its potential options for customization, the other introducing the new interface which they call ‘Dash.’ The third video is the one I took on my own Rift in Home and the store. I’m an Opera guy. Not an ‘opera’ guy, although I have nothing against that particular type of theater, but an Opera browser guy. Many years ago I was a Mozilla Firefox guy, especially as they rose from the once-great Netscape Navigator, however for many years now Opera has been the Samsung Galaxy to Firefox’s iPhone; in other words, Opera always had features that Firefox offered much later or didn’t have at all except through add-ons, and was simply faster, more responsive, more stable, and easier to use. Not only that, Firefox has been infamous for its memory leaks, a problem it was never able to solve (Chrome, too, let’s not forget about Chrome). I should also mention in the issue of fairness that plugins could exacerbate the problem, however the base browser always struggled with the issue as well. Now, however, Mozilla has released the latest version of its Firefox browser, named Firefox Quantum, and it is the first major update for the browser in almost thirteen years; you can read the blog entry straight from the horse’s mouth here. They claim it’s faster, better, has more features, is better able to manage resources, is compatible with new and emerging web technologies, and has many options for customization and configuration. It’s been redeveloped from the ground up, and it shows. I gave it a run to see how it is, and it certainly does appear to be better. Very fast, very responsive, clean interface whose elements can be dragged-and-dropped to rearrange them anyway you like, which is very nice. I started up some test sites to see how they loaded, including UCI’s homepage, IS301.com, Amazon, Plex’s homepage as well as my Plex home server, Hackaday.com, eBay, and Rotten Tomatoes. I also left up the default start page. The tabs loaded quickly, although plex.tv and this site took longer than expected, however while comparing response times with Opera, they loaded slowly there as well so the problem was obviously server-side and not an issue with the browser itself; testing them later resulted in equally speedy load times. That wasn’t the case with actually playing videos using Plex, though – Firefox took much, much longer to buffer than did Opera, almost three times as long; I was unable to discern why but the issue was repeatable and consistent. Barring that anomaly, everything else was very snappy and without hesitation. One thing I should add about measuring response times: It is very difficult to do client-side, and is often done via what is known as a stopwatch test, doable in code or with an actual stopwatch. Needless to say, I find those both very unreliable and so went with my own observation to get a general sense of how Opera and the new Firefox compared. 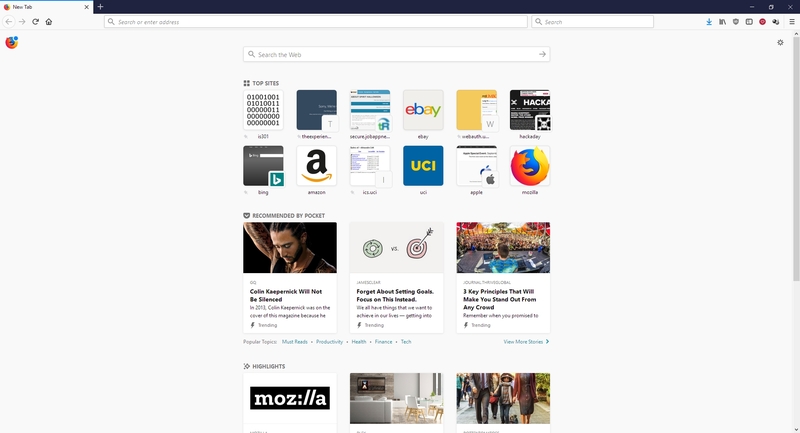 Firefox also has many new features, including deeper integration of Pocket, a personal web-content aggregator that Mozilla bought and integrated a while ago. I have never used it, but can understand how it could be quite beneficial for some. 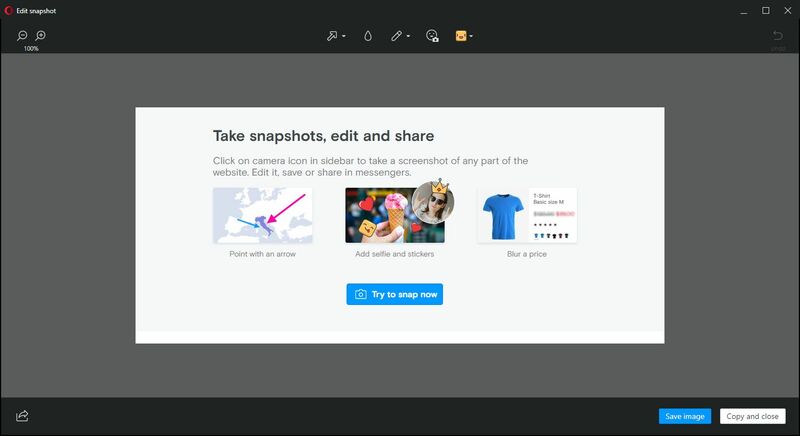 It also has an excellent snapshot feature that allows you to take a screenshot of all or part of a page and save it locally or share it to their cloud service. I don’t know why someone would use the latter, but the former is something I use quite a bit with Opera, and as we will see Firefox does it much better. There is also the aforementioned interface configurations, the library which is just a collection of your browsing history and bookmarks, syncing across devices, and more. As the header image shows, they even have a new icon! Of course, that’s where the important issue comes up. The fact is, while the new Firefox browser appears to be much faster, more responsive, more stable, everything I said about Opera earlier, what that essentially does is bring it on par with Opera, except in the case of Firefox’s better screenshot functionality which I will discuss later in the post. I tested each page I loaded in Firefox against the same page as it loads in Opera (with three times as many tabs open in Opera, no less) and the performance was the same. Opera wasn’t better as it had been in the past, it was simply the same. That’s a comment on both Firefox and Opera; how well Opera has been in the past, and the catching up Firefox had to do, and did quite effectively and impressively, to reach it. As mentioned earlier, there is one big difference in which Firefox easily takes the lead, and regarding a feature I use often – the screenshot feature. Both Opera and Firefox have had this feature for some time, and as stated I use it frequently, although now Firefox’s implementation is much better (MUCH better) – it can identify sections of a screen, such as a headline or picture or other element, as you move your mouse, and snip that out, while Opera requires you to adjust a selection box. 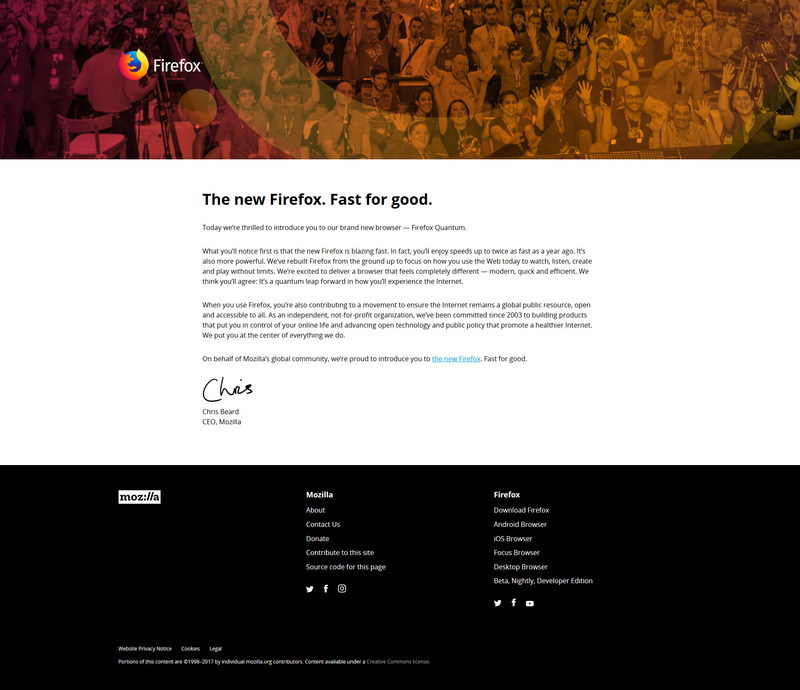 Additionally, Firefox has the neat ability to capture a whole webpage as a snapshot, even if parts of it are not visible in your browser – the image below was taken in Firefox even though the entire footer and about 20 percent of the header were not visible when I did. That is a great feature, one that surpasses Opera’s full-screen (note: not full-page) capture, and might be the clincher for some; it almost is for me. Opera, on the other hand, allows for screencaps to be marked up in a very limited fashion right in the capture window, something Firefox does not, however this is less of an issue for me as I usually use GIMP if I need to make extensive edits, and IrfanView if I need to make any size adjustments, batch actions, or simple crops. Good thing, too, since all Opera allows one to do is add some arrows or stickers; Regardless of what Opera says, it’s not actually editing at all. 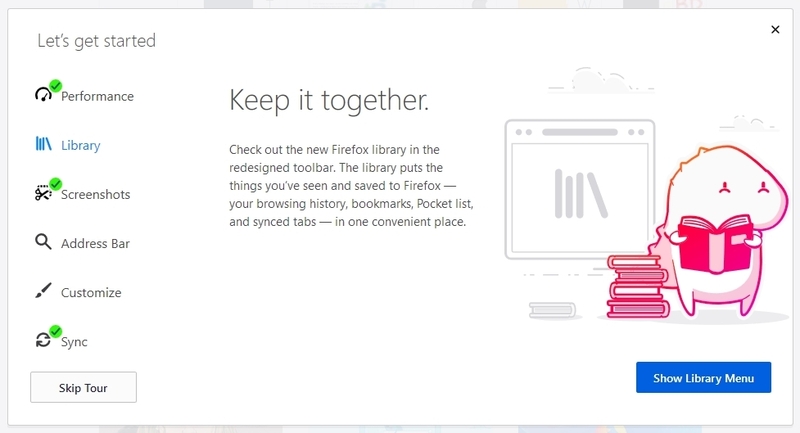 In terms of flexibility, Firefox is the clear winner in this category. For these reasons, I can and will whole-heartedly recommend Firefox to anyone interested as I think the improvements are significant, but I won’t stop using Opera as it already had many of these features, as well as unit conversion that happens automatically when you highlight a measurement. 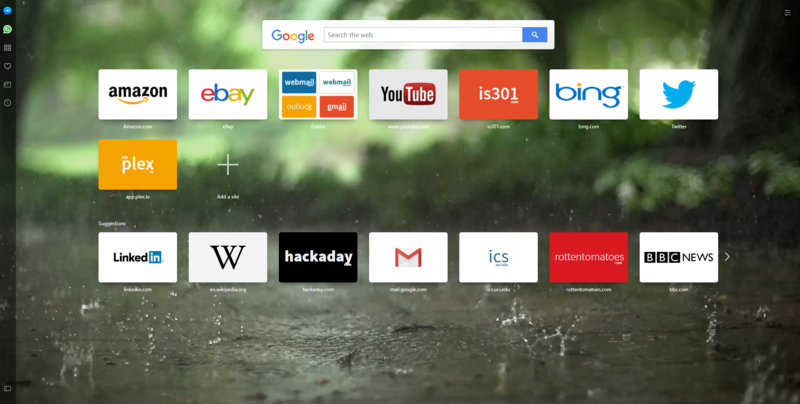 It also has a customizable, tiled home screen that I find to be very useful; it’s one of my favorite features of Opera and the one I use most often. 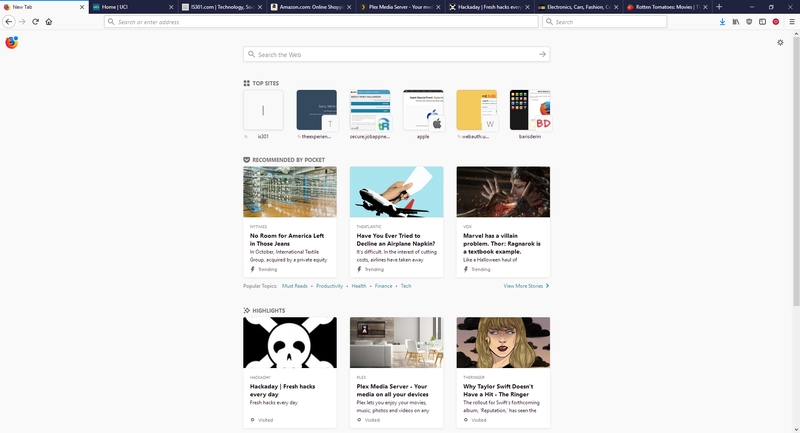 The new Firefox has something similar, with a single row of six, or double row of twelve, small tiles representing your ‘top sites,’ which can be edited or added to, but not rearranged; ultimately, it’s not as configurable as Opera’s landing page, and very curiously its screenshot functionality is disabled there also. I’ve always wondered why we don’t have animated wallpapers for desktop machines. After all, if Android phones can have them, why not the big guys? There are valid, pragmatic reasons; they’re distracting, they drain system resources, and they can be hell on a laptop battery or other device that isn’t plugged in. But perfectly reasonable caveats don’t interest us, we know the risks, we want animated wallpapers, and now we can have them. 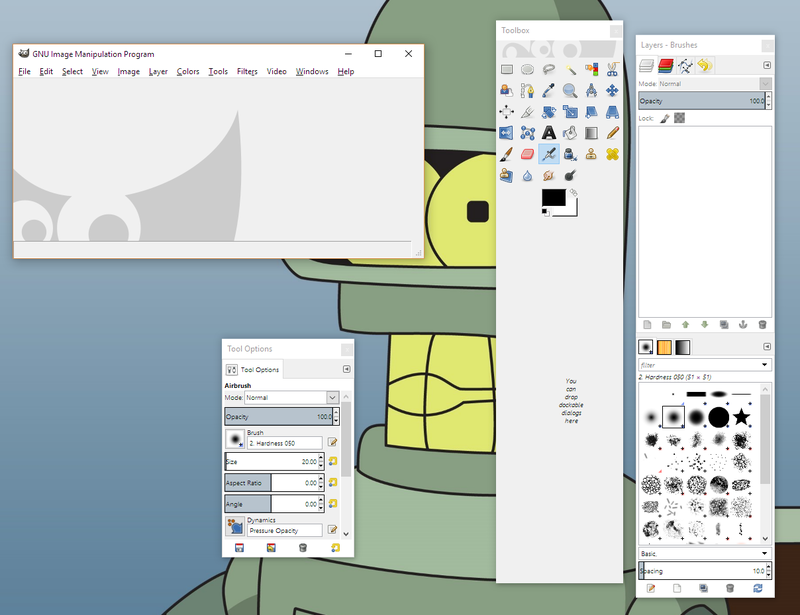 Incidentally, the idea of animating desktop elements has been around forever. Back in the early 1990s there was an add-on program for Windows 3.1 called Icon Hear-It that added animated cursors, animated icons, and additional sounds to the GUI. Of course, that early in the computer revolution, none of us realized how truly gaudy and resource-intensive all that nonsense was. But a tasteful, animated wallpaper can make for an elegant display. I was going to talk about the way I do it on Windows 10, but I suppose I should also talk about Windows 7 and 8. Regardless of the version of Windows you are running, you’re going to need a third-party program; no OS offers animated wallpaper functionality. 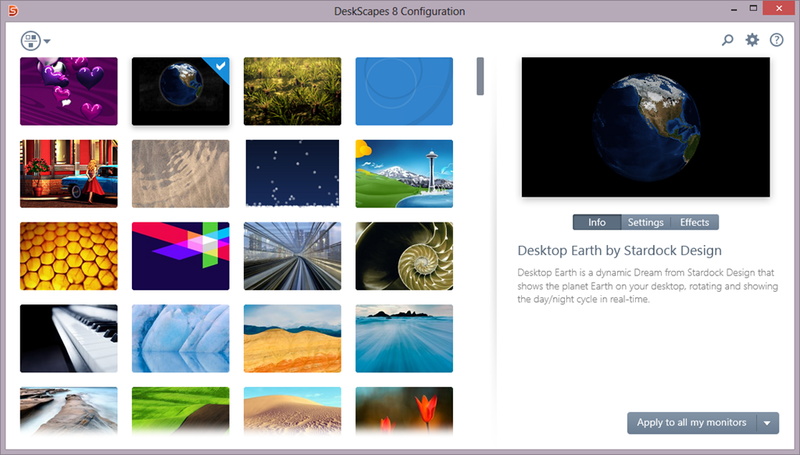 For the latter versions, there is a program by Stardock called DeskScapes that provides a selection of animated wallpapers, and even allows you to create your own from gifs, videos, or other animations. It’s not terribly resource dependent and ran relatively smooth on Windows 8 in a Virtual Machine. I recently learned of another program, however, called Wallpaper Engine, that is (supposedly) designed to have a very small resource footprint, and is even available through Steam for a measly $4.00 (as opposed to DeskScapes’ $9.99). Another big plus for it is that some of its wallpapers support triple-monitor setups, which I have, so I wanted to look into it further. It has been working quite well so far. Interestingly, in my graduate design class this week we are discussing ethics, and it turns out that there are some ethically questionable ways in which this program can be used. For example: Of course the first animated wallpaper I downloaded was of zombies. But it turns out they’re not just any zombies, they’re from a video created by a company called AtmosFX (formerly Atmosfear), which creates videos to be used around Halloween by projecting them on a sheet hanging over a window or similar. They do have a lot of neat videos, I’ve considered using them myself and buying a projector just for their videos, and you may seen have seen some on display around that time of year at Spirit Halloween. Apparently, AtmosFX has filed a complaint with Valve, who runs steam, and with Wallpaper Engine, stating that the background is copyrighted material and shouldn’t be downloadable for free with their program, although Wallpaper Engine didn’t provide it, only the capability to create it from existing video. Therefore, determining who is actually for the alleged copyright violation, if there is one, will be difficult. I suspect Valve will simply remove the offending wallpaper from the Wallpaper Engine workshop, however there are many, many, MANY more options for one to choose from, with the expected heavy emphasis on things like Anime and, you know, related things. 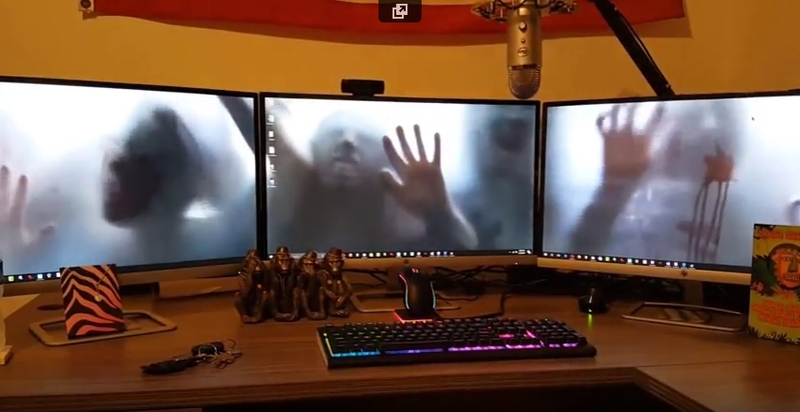 Here is a video of my three-screen setup running the zombies animated wallpaper. Also note: Not all wallpapers work across three screens, and I have had some real problems with scaling, in which Wallpaper Engine will only show the top 40 percent of the animation rather than scale it properly across screens. Single-screen setups and most dual-screen setups do not have this issue (as far as I can tell). Before I get to the main thrust of this post, it’s important to provide some perspective for those unfamiliar. As you all should know, my Ph.D. is in Human Computer Interaction, my undergrad in Cognitive Psych, I teach multiple interaction design and interface development and analysis courses (game design as well! ), so when I see a well-designed interface, or anything that’s inherently usable as a result of its construction, it just makes me feel all giddy inside. What, then, is a good example of a well-designed interface? I’ll show you. It’s an example I’ve been using for some time, all the way back since it was a Flash animation on a website called platinumgrit.com, which was a showcase for an Australian Flash animation series. The site is long since dead, or more appropriately, dormant, but it once hosted what I consider to be the best, most pure example of interface design I have ever seen. In fact, I was reminded of it because of a conversation thread on a message board for my graduate class in advanced design and prototyping. 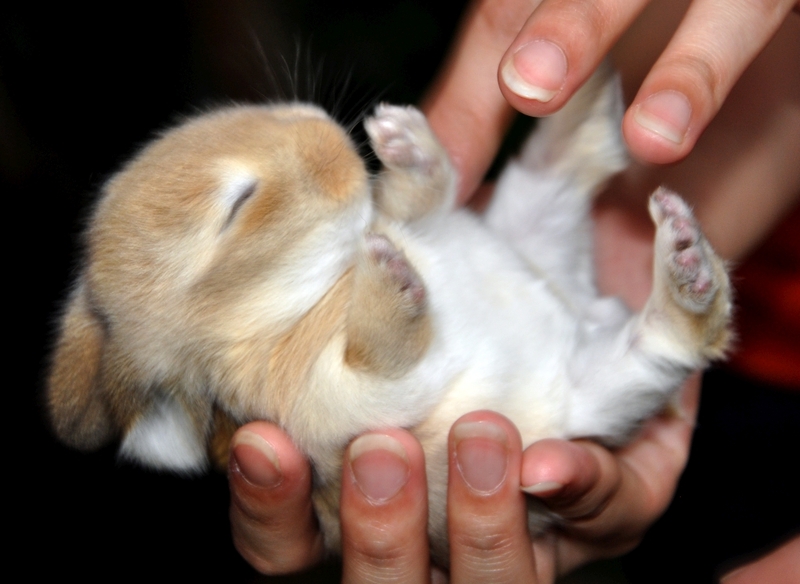 It’s called, no joke, Poke the Bunny. Before I show you the rest of interface and give away the surprise, let me explain why it is so good. One of the cardinal rules of interface design is clarity; speaking clearly to the user. Don’t label links ‘click here,’ don’t label buttons ‘push me,’ don’t call an error ‘error 0x14323929.’ State what the user can do, and make it clear what the consequence of that action will be. Of course, cardinal rules are meant to be broken since so many interfaces break them. But not this one. The interface is comprised of exactly three elements. The first element is a graphic of a bunny that frankly looks pissed off. The next is a fist with an extended pointer finger aimed squarely at the bunny’s backside. And the third element is a button labeled ‘Poke the Bunny.’ It is clearly labeled in reference to its action. It leaves no doubt or question in the mind of the user what it’s function is and what will happen when you push it. Not only is it a beautiful example of interaction design, there is such a direct link between all the elements on the screen that the role of each is immediately apparent, specific, and isolated. It’s the most pure interface I’ve ever seen. Not only that, the effectiveness of the action/response is very satisfying. Because it’s easy to use, obvious to figure out, impossible to get lost, it makes the actual use of the interface, even though it has just a single interactive element, a joy to use. Even though all you’re doing is poking the bunny, the nature of the design combined with the absurdity of the situation make it oddly addicting and fun. And that is a desirable goal for an interface; You want it to be fun, exciting, enjoyable, interesting, educational, all the positive aspects that make people feel good should be elicited from your design, And in this case, it is. it’s just plain fun. (There’s also a surprise, though, if you work for it). And it’s available on Android! As I mentioned, the site has been sadly dormant for some time, however I was overjoyed to discover that if you have an Android phone you can download it from the Play store! There used to be a version for iOS, however I have the sneaking suspicion it’s no longer available (although I don’t know. If anyone can check I’d appreciate it). It’s a shame if not; it’s a brilliant example of exactly how an interface should work. The Android version isn’t quite as exceptional as the original Flash app; the skeumorphic nature of the button isn’t there, the font is unnecessarily cartoonish, and sound isn’t quite right. Still, the pure core of the interface is rock solid. So with all of that fanfare, I present a video of Poke the Bunny recorded off my very own Note 5. If you’re on Android (or iOS and it’s still available), then download it and give it a try. You’ll be hooked, I promise. Poke the Bunny! I love the DOS prompt. I really do. I have books about it, watch videos about it, and teach HCI students about how many of the conventions used in the Graphical User Interface (e.g. cut/copy/paste) are taken from the command line, which were themselves taken from manual conventions used with typewriters (when typists made an error, they would often type the intended word on a separate paper, cut it out with an X-acto knife, and paste it over the mistyped word on the original document). Although I frequently criticize techy types for being unnecessarily proud of their cult-like, obtuse, user-unfriendly platforms that require deep-dive understandings of underlying technology to get them anywhere close to working (I’m looking at you, FreeNAS and DD-WRT), I have to give the command line credit as it was all we had back then, we didn’t use it for bragging rights, and it worked well enough at the time while requiring some understanding of the underlying machine and software architecture. However, it appears that the command line is being pushed to the back row. 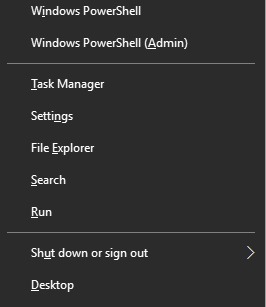 You’ll notice in the image below, which is of my very own Windows 10 Start context menu which appears when right-clicking on the start menu, there is the option for command prompt and command prompt admin. 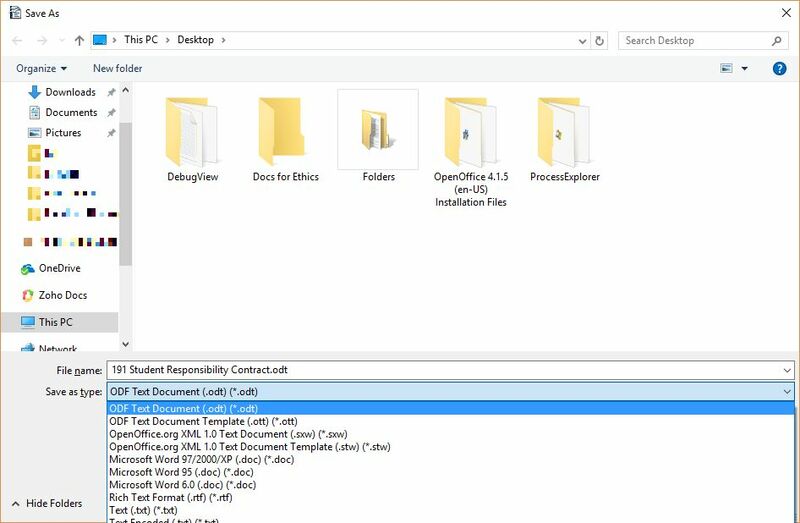 In the following image, though, taken from a PCWorld post about the most recent Windows 10 Insider Build, Build 14971, you can see that the entries for command prompt are no more, and instead have been replaced with PowerShell. What is PowerShell you might ask? If you were to just look at it, it might not look all that different from a standard command line. 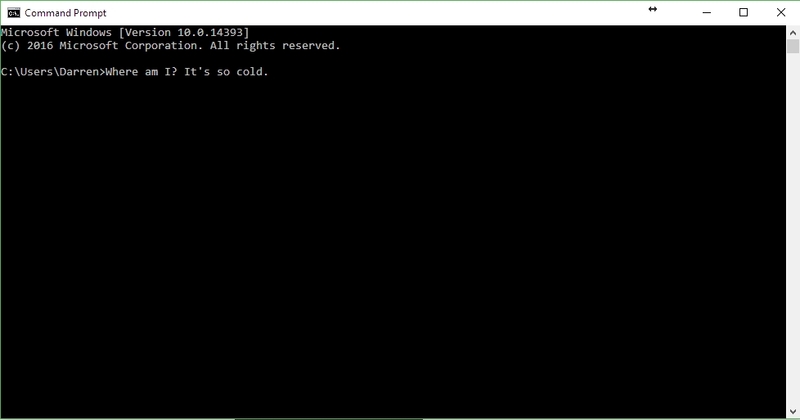 In fact, it IS a command line. 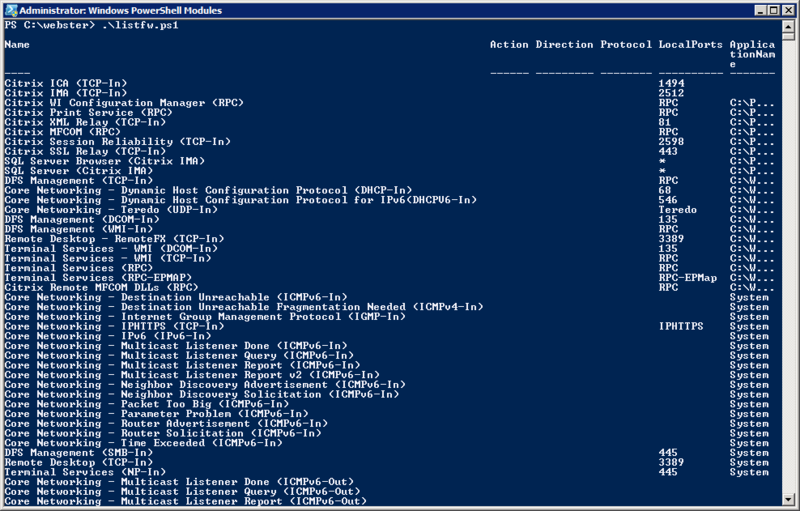 However, rather than carrying out one command at a time as is typical with traditional command lines, hence their name, PowerShell allows for a host of capabilities that would be very difficult – although not impossible – via traditional command line commands. It allows for system and network/remote management, as well as scripting functionality supported by the .NET platform. It has many functions, which is also why the name PowerShell is both accurate and misleading. You see, a shell is a command line. We’ve been using shells forever now, they even have allowed for the authoring of some basic scripts called batches in which a bunch of commands run all at once, but they were also very limited in the universe of the GUI. When a criminal attempts to put malicious code into or onto a system in the hopes it will run, that is often known as shellcode because it provides command-line access to the compromised system (if you’re interested, this is most commonly done through buffer/stack overflow attacks, of which there are many different kinds). Even PowerShell itself has been around for a long time. These types of interfaces have been a staple of computing since the birth of the PC and before. PowerShell is powerful, and has extensive capabilities that make it as useful as a GUI if you know how it works. Why not just use the GUI? Because a command line interface doesn’t use nearly the resources of a GUI, can run on a low-power system, gives much finer and more focused control than a GUI, and a command line interface won’t crash. You can see that I appreciate the power of the command line, and while I have nothing against PowerShell specifically, I also see it as the end of an era. The DOS prompt was so insanely unintuitive, yet comparatively simple as well; a true paradox. In PowerShell’s defense, here is a screenshot from the carlwebster.com blog showing it running a script that displays firewall rules. And that is just one example of the infinite amount of ways in which it can be used. Apparently ‘Command Prompt’ can be brought back to the context menu through taskbar personalization settings so I may do that when the update finally rolls out, but I also want to give powerShell a chance – I haven’t used it that much but use the command prompt extensively, so who knows, maybe it will all be for the best. I’m approaching it with an open mind, and I’ll post my thoughts here when I’ve had the chance to work with it for a bit. Happy Fourth of July weekend! I say that even though the Fourth is on Monday. It’s a time for grilling and, if you’re like me and in Las Vegas, getting roasted (that’s not a euphemism) in the blistering sun before it cools down to 100 degrees at night to watch fireworks. 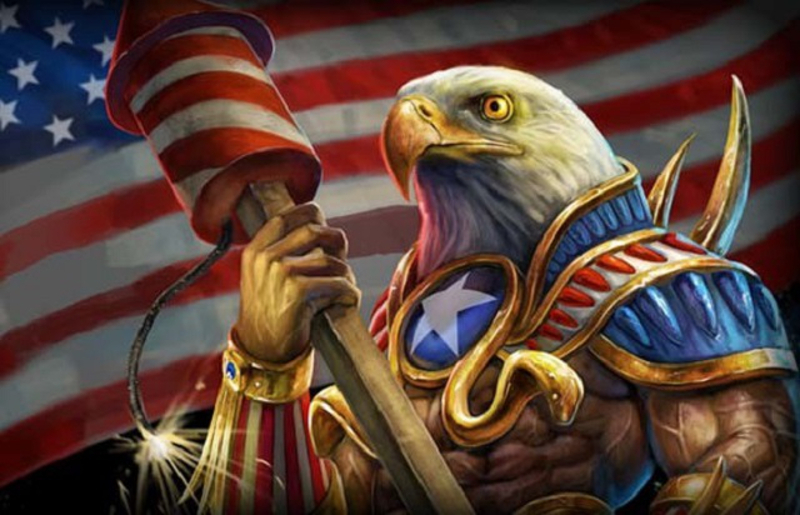 So since the 4th of July is rapidly approaching and you should be out celebrating Freedom and Liberty, I’ll just put up a brief post talking about the technology behind putting together a fireworks display. I’ve posted it the past couple of years and the technology hasn’t changed that much since then. The process is exactly the same. As you can probably guess, with the spectacular fireworks displays you see every Fourth of July – like the ones we have right here in Las Vegas for the Fourth and New Year’s Eve – sync’d to music as they often are, it requires not just the fireworks themselves but a major amount of computerization and automation to pull everything off. Besides the mechanical triggers and fireworks themselves, there is actually software that is designed solely for the purposes of controlling and synchronizing the firing, timing, and music of the displays. If you’ve ever used music-editing software such as ProTools or Audacity or anything in-between, or perhaps created a holiday light show right in your own front yard, then you already have an idea of how the software works. You use a timeline to indicate when specific triggers should launch, and if necessary make them in-line with music. It’s pretty nifty. If you’d like to know more, here is an interesting, interactive explanation of how a firework gets launched. Keeping that in mind, Disney, which puts on some of the most unbelievable fireworks displays I’ve ever seen, developed a method for launching fireworks with compressed air as opposed to gunpowder all the way back in 2004! That’s a good use of technology. Just a couple of posts ago I wrote about how I was feeling rather melancholy over having finally given up my beloved Windows phone, which I have used for many years and did so with pride. It had served me well, and I actually am still using it for some of its offline functions, but I broke down and finally jumped ship to the Android-powered Galaxy Note 5. Why am I telling you this if I already told you a couple of posts ago? Along with the vastly improved selection of apps (confession: I’ve been playing Pinball Arcade – almost perfect recreations of actual pinball machines. Don’t miss out! 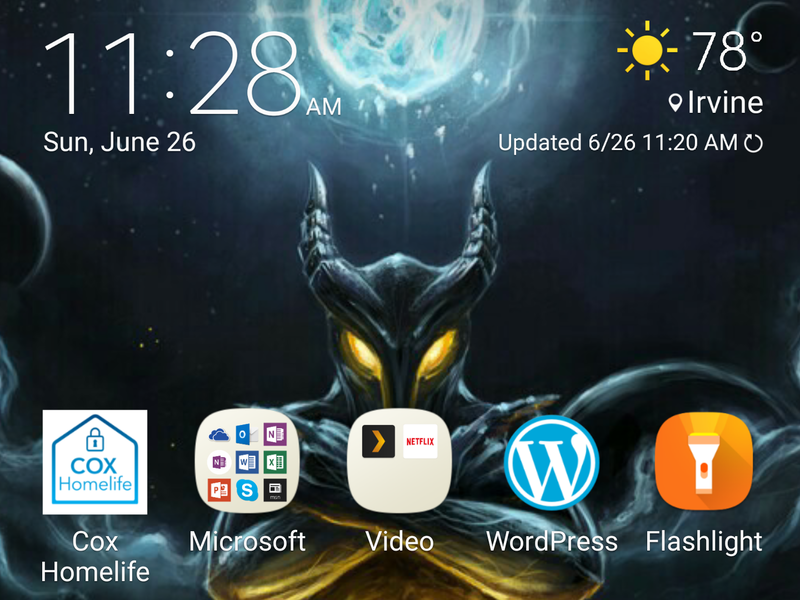 ), I discovered a WordPress app that lets me post from my phone. I can’t imagine I’ll be doing that a lot, but I figured I may as well give it a try. Incidentally, those links should link to the Google Play store which was a test of this platform and my ability to use it, but depending on how you’re reading this they may not work. So be forewarned! As you can likely tell from the image header, and as this site continues to expand, I have switched the comment system over to the venerable Disqus platform. While I was more than happy with the stock commenting method provided by WordPress, I also was never completely comfortable with people having to login via social media in which they might not be comfortable leaving a comment, or logging in anonymously, in which *I* wouldn’t be comfortable with them leaving a comment. I have to admit though, WordPress has so far caught 100% of the spam that has been levied against this site, and I can’t argue with those results. I have seen spam get through on many, many sites that use Disqus, and so everything here today is done with the understanding that if Disqus can’t handle the inevitable comment spam that will arrive, or in some other way becomes odious, I may have to switch back to the old way of doing things. Lecturer in the Informatics department at the University of California, Irvine. Previously on the faculty of Nevada State College's School of Arts and Sciences, the University of Nevada, Las Vegas' Lee Business School, and The University of Maryland, Baltimore County's School of Information Technology and Engineering. I'm the creator of IS301.com which you are reading right now, co-founder of and regular contributor to theexperiencebar.com, and all-around fun guy.